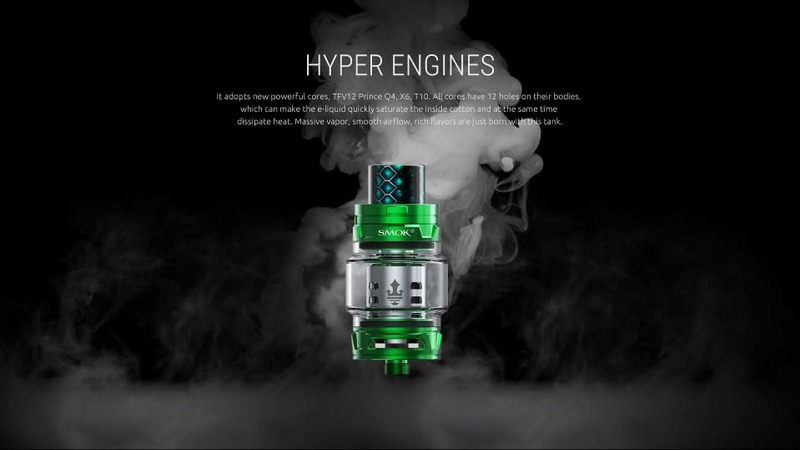 TFV12 Prince Tank, the baby of the super powerful cloud beast king is not only a powerful one but also an all-round sub ohm tank for daily use. This kit includes the three newest & carefully modulated coils: the Prince Q4, X6 and T10. All three give the vaper huge clouds and extremely dense flavor. 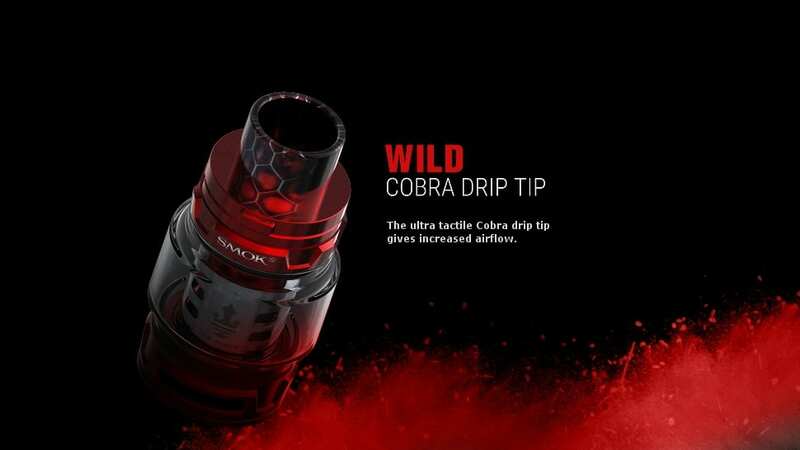 The Prince also has the newly designed crown-style body and colourful Cobra resin drip tip. Why not upgrade to take advantage of the Smok "big tank" 5ml or 8ml option? The SMOK TFV12 Prince Tank features a newly designed crown style body with an easy top-filling system which has a unique fastening clasp, effectively locking the top of your tank to secure it in place. The new Prince coils are built with a revolutionary Kanthal thin film "strip coil" heating membrane which allows for a greater surface area. This has two significant vaping advantages. First the heat up time for e liquid is significantly reduced because of a more even heating profile and secondly the structure allows for rapid absorption of e juice. Combining these two advantages means strip coil easily loads higher power than traditional coil heating wires which translates to an unparalleled vaping experience. Compared with traditional coil, TFV12 Prince mesh coil has a wider heating area which can heat more evenly and absorb e-liquid effectively. This ensures you experience a better flavour and huge vapour. Smok also state that mesh coil has a longer life span. The Smok Prince Tank of choice. Your Smok TFV12 Prince tank is manufactured with precision so will not leak providing you use the product and parts correctly. Where any leaks have occurred, we have solved almost all by taking the following steps. This tant produces great flavour and great clouds for those that like to smog out the entire room! I use the Q4 coils (the others don't taste better but do drink your liquid way faster - expensive). I run new coils at 60w and have no issues with the results. After a while, when the coil begins to 'feel' like it's clogging up with residue I increase the power to 70w. I don't experience any advantages by ramping up the wattage to 100+, you don't get increased flavour but you will need spare batteries.